Hi. Me and my friend are starting up airsoft soon but im interested in the upgrading side of things. The problem with this is that I have never owned any kind of kind before other than a spring pistol which I've never had the need to do anything to. The main gun I wanted to try out was a sniper as I've always liked snipers. I was looking at one on the for sale forums on this website which is a two tone m57a, which looks just like an l97. Now, my question is, if i bought the gun, bearing in mind i have no idea of the make etc, how easy would it be to upgrade, and is there any guides put there to say what bits you can use on it for example? I want to buy a scope for it, but how about a tight bore barrell or whatever they're called? And also, what is the best upgrades for the money spent that you can buy to increase the performance of the gun? 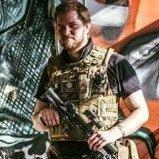 Hey, Glad to hear somebody coming into airsoft! Welcome to the forums & airsoft! First of all, I'd like to point out, I don't recommend picking up a sniper for your first rifle. They are much more difficult than you think, and are very difficult to use effectively. I recommend something like a M4 or a G36. They are great starter guns from what I've heard, I'll picking one up shortly. You can pick up a great m4 for £99 called the G&G CM16. it's a great gun, but you'll probably need another £50 for a battery & charger and a few extra mags. hey and thanks I've heard that snipers are harder to use, but until I've got used to a sniper I have a rather large back garden to practise in so figured I may aswell get one as eventually id prefer to have a nice sniper anyway. Yeah me too, I have a springer, what pistol do you have? It's not that snipers are hard to use, it's that they're crap without upgrades. Imagine an underpowered AEG that can only fire one shot at a time, and not an accurate shot either. If you want a sniper to be worth having, you need to sink £500 worth of upgrades into it, barrels, hop unit, hop rubber, trigger, sears, piston, cylinder head etc etc. You really need to have your head screwed on and actively research what you need to be able to get the best out of your rifle. I'd set a budget of at least £700 to get one going effectively. Bit off topic here but is it possible to downgrade the FPS on a GBB to get it to a legal limit for skirmish sites. I'm looking at getting a G39RAS which is averagely 350 but often get one shot above 350 every 5 BB's or so. Is it possible to limit the FPS or downgrade without buying anything. Or does there have to be specific upgrades available for the GBB to lower the FPS? I'm getting a sniper too and upgrading it. I know everything to get apart from the bucking and nub its 450 fps and can take aeg buckings. What would you recommend?